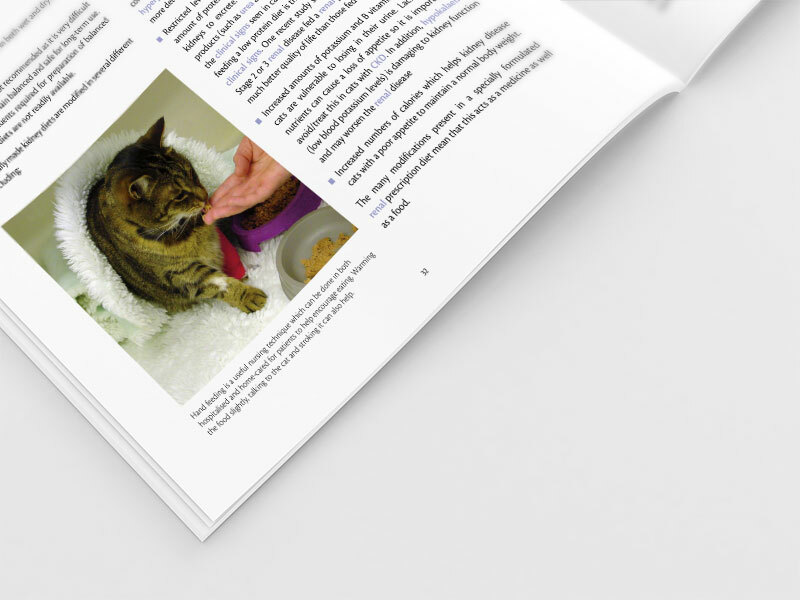 'Caring for a cat with chronic kidney disease' has been written as the perfect information source and support tool for a cat owner whose cat or cats have been diagnosed with kidney disease. 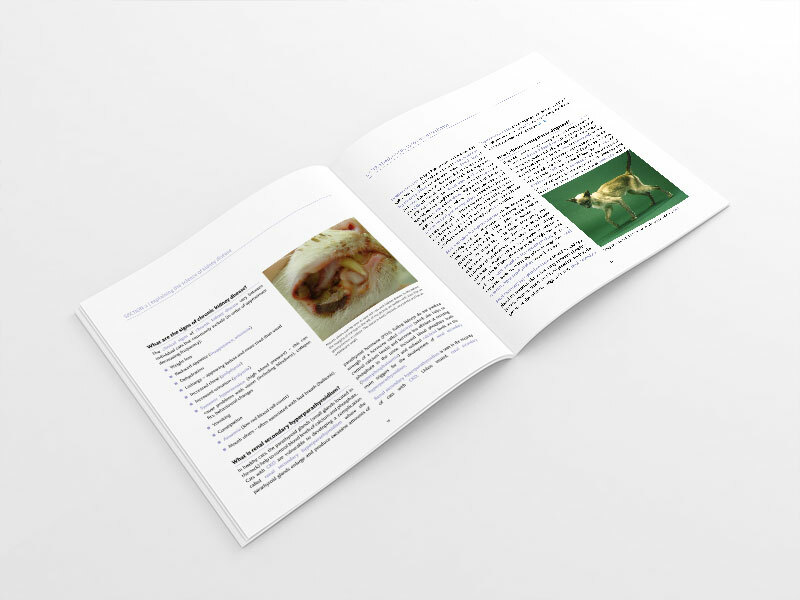 A 72 page, fully revised and updated illustrated book aimed at cat owners and veterinary professionals, launched June 2015. 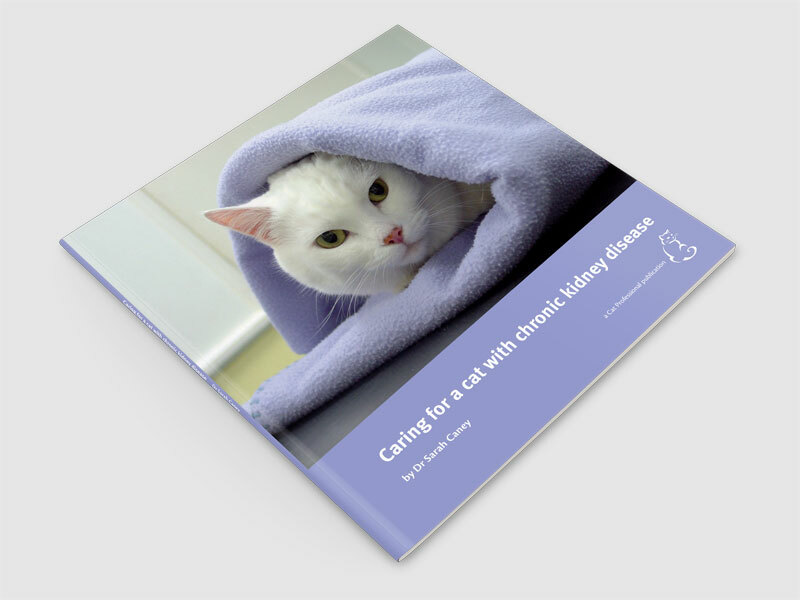 'Caring for a cat with chronic kidney disease', now in its 4th edition, has been revised and updated to fully address the needs of the cat with chronic kidney disease (CKD) and those caring for them. CKD is one of the most common illnesses affecting older cats and is estimated to affect more than 30% of cats over the age of 10 years. The book covers all aspects of dealing with this condition from coping with the emotional impact of the diagnosis, understanding how to diagnose the condition, early diagnosis, optimal management strategies, the importance of check-ups (and what is recommended), finally covering end of life decision-making and bereavement. The book is printed in colour with many photos making it visually appealing and easy to dip in and out of. …clearly and GENTLY goes through everything a client needs and wishes to know… It offers hope and guidance, but without providing unreasonable expectations…In my view, every owner with a newly diagnosed case of renal insufficiency should read this book. What are the signs of chronic kidney disease? What is renal secondary hyperparathyroidism? What other tests are helpful in cats with chronic kidney disease? What is staging of kidney disease and what does this mean? Can kidney disease be diagnosed before clinical signs are present? Can CKD cats with other illnesses still receive treatment? What is the prognosis (long-term outlook) for cats with chronic kidney disease? Sarah qualified as a veterinarian in 1993 and has worked as a feline-only clinician for more than twenty years. 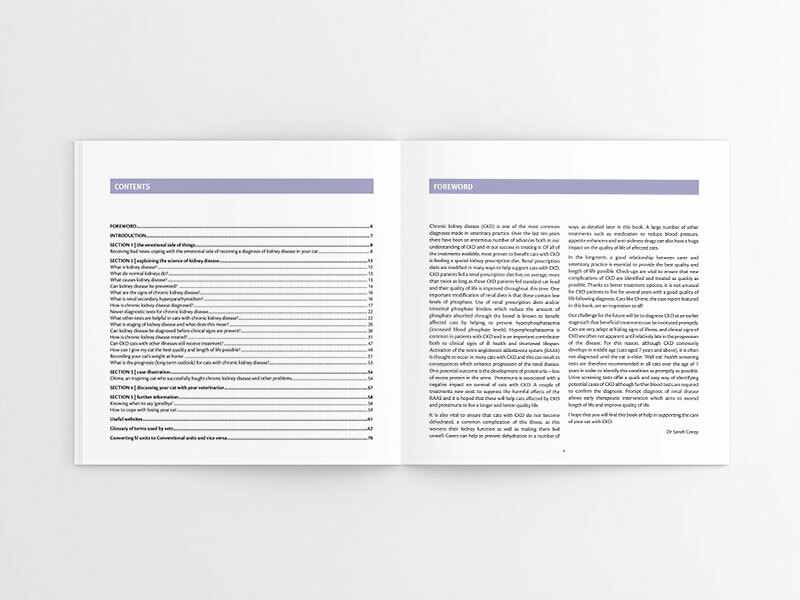 Sarah has authored and co-authored a number of other Vet Professionals publications including ‘Caring for a cat with hyperthyroidism’, ‘Caring for a cat with lower urinary tract disease’ and ‘Caring for an elderly cat’. Sarah currently lives in Scotland with her family (including one cat, Sooty) and enjoys seeing both first opinion and referral feline patients. Sarah’s detailed biography can be found here.